Real estate technology is perpetually in flux as new and improved ways of generating leads, nurturing leads, and showcasing listings emerge. In 2018, we will see many new advancements, some we have been anticipating and others we likely never saw coming! There are a few tech trends that we are looking out for in 2018. Will you use any of these in your business? We’ve already seen chatbots emerge in many areas of business and this year, many real estate agents will begin turning to these automated chats to initiate the beginning stages of interaction with prospects and leads. It’s believed that this can be more efficient in engaging visitors, which can then transition into higher lead conversion rates. Blockchain is a concept that has been spreading from industry to industry like wildfire. According to a recent Forbes article, in 2017 Velox RE and the Cook County Recorder of Deeds were active in a pilot project to see how blockchain technology be useful for storying property records in the Chicago county of roughly 5.2 million residents. It seems it might not be long before blockchain becomes more commonplace in real estate. One of the most commonly discussed aspects of blockchain, and specifically cryptocurrency is bitcoin, and many speculate that it’s use in real estate could completely change the way real estate deals are recorded and completed. In 2017, we saw a lot of new smart home features enter the industry, this won’t be slowing down anytime soon! In 2018 it’s likely we will see a more widespread use of current smart home features in addition to new advancements. Since the emergence of drone photography, there has been much discussion of regulation. The FAA has now passed legislation that will require education requirements for operators. For agents, this is another terrific way to get professional photos of listings and communities. As the year goes on, more and more professional photographers will continue to be certified in drone photography. Now potential home buyers across the globe can feel like they are seeing a listing in person with the use of virtual and 3D tours. This will continue in popularity, especially for overseas buyers. While the term “augmented reality” might not mean anything to you at first, picture any home improvement show you’ve seen lately. These shows often use augmented reality to transform a room that under construction into a life like rendering of the “after” photo. This technology is not only popular for home improvement and renovation projects but also for helping potential buyers visualize the outcome of a residence that’s still under construction. 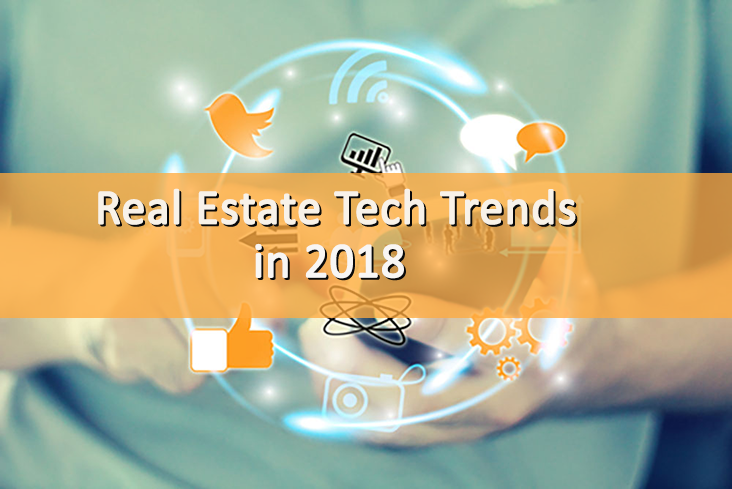 In 2018, it’s not only real estate technology that will continue to change, but real estate marketing technology as well. Make sure your marketing plan is up-to-date. Register today for your free, no obligation marketing consultation with one of our experts to see if your business qualifies for PropertyPulse!